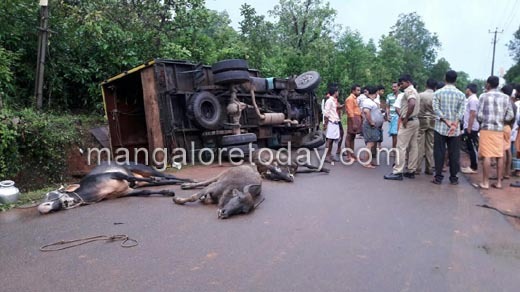 Bantwal Aug 28, 2016: A truck transporting cattles, topples at Amtoor in Kalladka on Sunday morning August 28. The accident occurred due to the reckless driving. 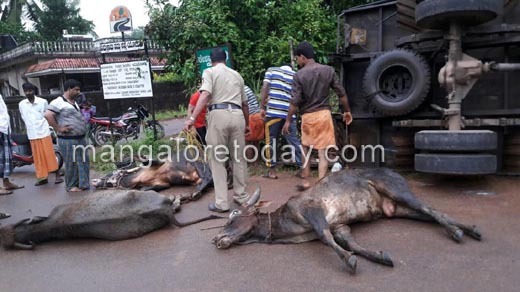 Four among 15 cattles are reported dead. The driver fled from the spot immediately. A case has been registered at Bantwal police station and investigation is in process.